Eastwood Apartments at Wooloongabba – The new urban cool. How many people can fit in a 1 bedroom apartment? The one bedroom apartments can accommodate 2 guests with either a King sized bed or two single beds. We are also able to accommodate a 3rd guest with a roll away bed for just an extra $30 per night. How many people can fit in a 2 bedroom apartment? The two bedroom apartments can accommodate 4 guests with two King sized beds, four single beds or one of each. Be sure to tell reception your bedding arrangements when booking. We will also be able to accommodate an extra 5th guest with a roll away bed, available for an extra $30 per night (in deluxe apartments only). How much will a Rollaway cost for an extra guest? or an extra guest, including the Rollaway bed and all additional linen, we charge $30 per night. Can baby equipment like cots and high chairs be organised? We are certainly able to accommodate your children with baby equipment. Baby cots are available for $20 per night and high chairs are available for $15 per night. If you require both of these, we will be able to provide these for a combined price of $30 per night. What is the different between the 2 bedroom standard apartments and 2 bedroom deluxe apartments? All of our apartments have been decorated very similarly however the deluxe apartments are equipped with a second bathroom. The standard room will have only the one private bathroom. 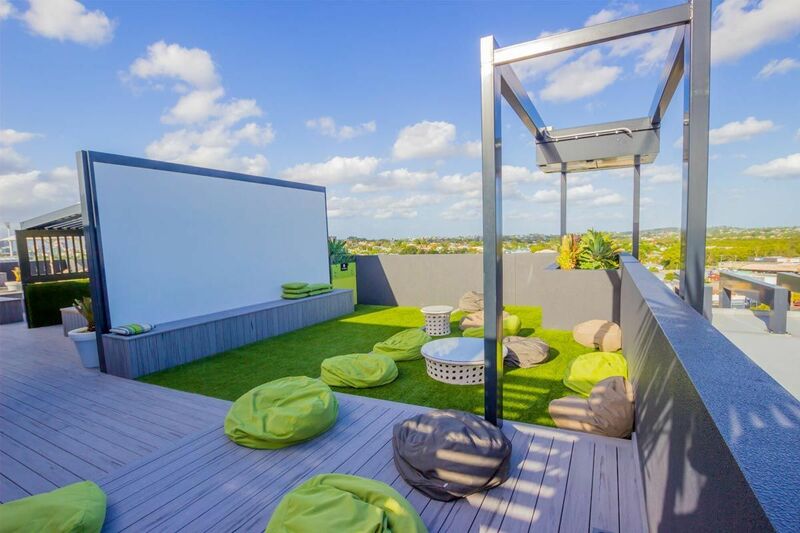 Some of our apartments boast views of the City and the Gabba. While some of our other apartment look out and over the Eastern suburbs. These apartments are subject to availability, so please make sure you call ahead of time to book a room with your view preference. Do all rooms have balconies? All of the apartments at Eastwood Apartments have their own Private balcony for guests to sit and relax. Our complex also offers the magnificent rooftop terrace, for guest to take in the picturesque views of the city and surrounding suburbs. Is Eastwood a good place for families to stay? Eastwood apartments are perfect for families. All of our apartments have spacious bedrooms as well as separate lounge and kitchen areas. We are within distance of parklands, as well as a short trip to South Bank and the City where there are always great activities for children. A minimum of 48 hours prior to check in is required for any cancellations or changes to bookings. If you cancel your booking within 48 hours of check in, you will be charged the first nights’ accommodation in full. As long as you give us 48 hours’ notice prior to your departure, our friendly staff will be able to accommodate you. What credit cards do you accept and do you charge a credit card commission? We accept Visa cards, MasterCard’s, American Express cards and Eftpos cards. The only card that has a commission is American Express card and they charge a 3% commission plus GST. All of the apartments are fully self-contained. They include a fully equipped chef’s kitchen with gas cooktop, lounge & dining area, separate bedrooms as well as a laundry area. 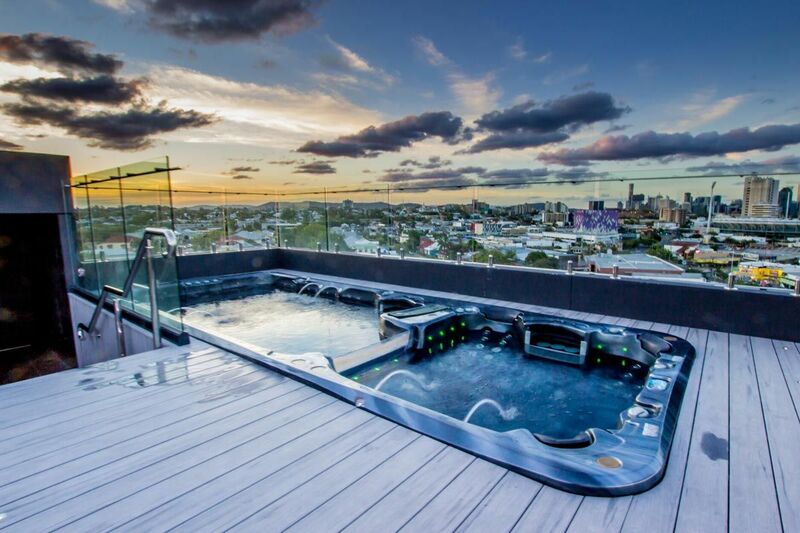 Eastwood Apartments also features a Rooftop Terrace with 2 BBQ cooktops as well as Outdoor Cinema, Jet pool and Spa. The apartment also comes with 1 secure car space. Do we need to book the Outdoor Cinema or BBQ’s? Here at Eastwood Apartments our BBQ’s are locked and do require a small $50 deposit for the BBQ’s to be unlocked for your use, once you have finished with the BBQ’s this deposit is refunded to you. In regards to the Outdoor Cinema, it is yours to control at a touch of a button, with a fully controllable touch pad located near the Outdoor Cinema. The Cinema has access to the full list of Foxtel channels as well as a Blue Ray player. Please ask one of our staff for demonstration. What does fully self-contained mean? Fully self-contained means that the apartment comes with all the comforts of home. Including all of your cutlery, cooking utensils, dishwasher, washing machine and dryer. Do you provide the bedroom and bathroom linen? 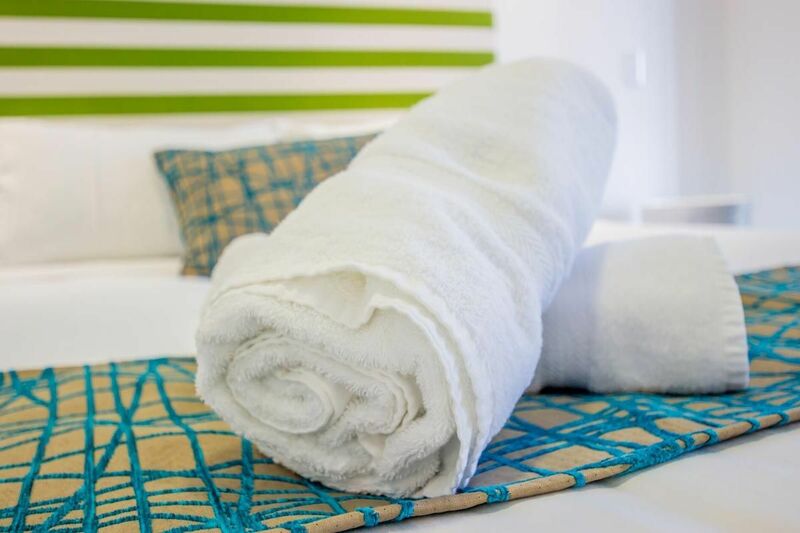 We provide all of the bed sheets and towels that you will need for your stay. You might want to bring your own beach towel to sit around the pool with but if not, we are able to provide you some extra towels. If your stay is longer than 7 night, you will receive a mid-stay service (at no charge), and all your linen will be replaced at this time. Do the apartments get cleaned? If you stay with us longer than 7 days, your apartment will be cleaned once per week. This includes a complete new set of linen and a general clean of your apartment. If you would like to get additional cleans, we will be happy to organise that for you too. How much would it cost me to have my apartment serviced daily? Although this isn’t a standard service we offer, we are more than happy to accommodate your every need. We can service your apartment every day or just as a one off extra. It’s up to you. The charge for this is $40.00 per service. Check in time is 2:00pm and check out time is 10:00am. If you would like to request an earlier check in or late check out time, please contact us directly and we will see if we are able to fulfil this request. This is based on availability on the day of arrival and departure. To guarantee early arrivals, booking the night prior is a great idea. Is there internet and Wi-Fi available? With every booking, you will get a unique internet code which will give you free Wi-Fi and internet access for the duration of your stay. If you need multiple devices connected please advise our friendly staff, and they will be happy to help. Unfortunately we cannot accommodate pets at Eastwood Apartments, due to health and safety regulations. Our office hours are between 9:00am and 5:00pm Monday to Friday, and 9am to 12pm, Saturday, Sunday and Public Holidays. If you are checking in after these hours, please confirm your best contact phone number so that we can send you a message with your instructions for check in. If we were to arrive outside of your office hours, how do we gain access? If you are checking in outside of office hours, please confirm your best contact phone number with us. We will send you a text message and email with instructions on the day of your arrival. There is also a 24 hour on site manager so if you are ever stuck, simply call the phone number on the reception door and we will be there to help you. Legally, there must be one guest over the age of 18 years to check in. How far away is Eastwood from the Gabba, PA Hospital, Brisbane CBD and Brisbane Convention and Exhibition Centre? Eastwood apartments are in a very convenient location. We are a short 5 minute walk from the Gabba Stadium. 10 minute walk to the PA Hospital, a 10 minute walk from the shopping and dining precinct of Stones Corner. As well as only being a short 15 minute drive to Queen Street Mall and a 10 minute drive from the Brisbane Convention and Exhibition Centre as well as the Southbank parklands. 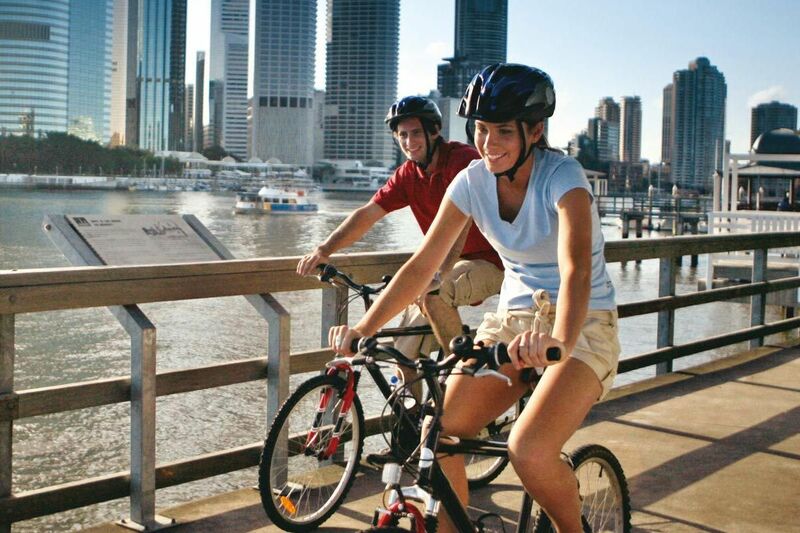 There is also lots of public transport to take you into the City, South Bank and South Brisbane. What transport is near Eastwood Apartments? Right out the front of the Complex, there is a bus stop that takes you to the city and cultural centre. 8 minutes away, there is the Buranda train station which can take you all the way to the Gold Coast. We can also help you to arrange cabs and any other specialized transport, which will be able to take you anywhere you want. With every apartment comes 1 secure car space. We understand that some guests need an extra car space and we will also to our best to accommodate these upon request. Guests are also able to park in the visitors’ carpark but will be unable to stay overnight. These visitor carparks are subject to availability. What are some of our dining options around Eastwood? Right at the bottom of the Complex is the Than Nuong Vietnamese Restaurant, open for Breakfast, Lunch and Dinner. Woolloongabba also boasts a wide variety of dining options, within a 10 minute walk you will be able to find wide selection of cuisine. What is the best way to get to your hotel from the Brisbane Airport? There is a number of ways to get to Eastwood Apartments from the Brisbane Airport. If you don’t have your own hire car, you can take a taxi, which will be about 30 mins in light traffic ($40-$60). Alternatively, you can catch a train to Buranda Station from the airport, and we are a short 8 minute walk from there ($17 pp). Unfortunately we do not offer airport transfers as part of our accommodation packages. If we are tourists in Brisbane, Can you help us with tours and sightseeing? If you are in Brisbane for a holiday and want to see the sights, our friendly staff will be more than happy to assist you and point you in the right direction. Although we do not operate a Tour Desk, we are definitely able to assist you with details to make bookings. We can guarantee the best rates for you if you book directly with us. Rather than pay for a third party, we would much rather pass the savings onto you.